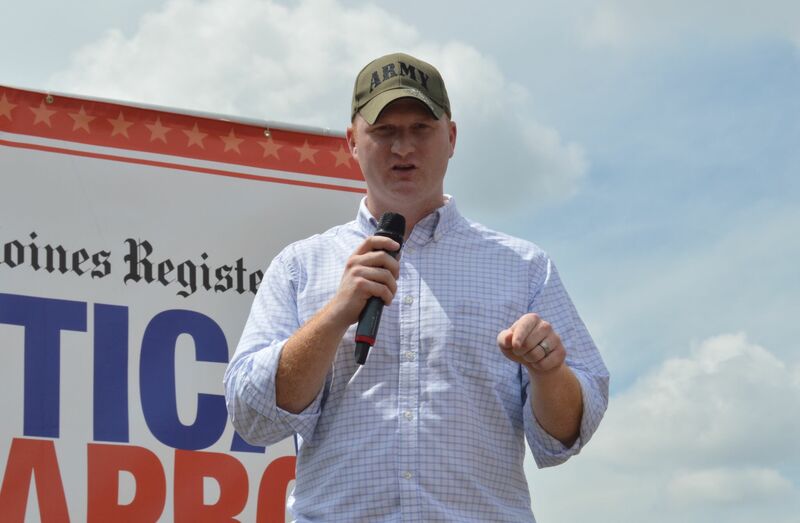 In the Democratic primary for next year’s secretary of state nomination, Army veteran and former congressional candidate Jim Mowrer begins the race with a large lead. In the poll that Starting Line commissioned with 20/20 Insight, 27% of likely Democratic primary-goers picked Mowrer in the race, compared to 9% for Des Moines small businesswoman Deidre DeJear. When voters were asked if they were leaning toward a candidate, the result was 30% for Mowrer and 12% for DeJear. This is Iowa Democrats’ first primary for the secretary of state office since 1998, when Chet Culver defeated Ned Miller for the nomination. 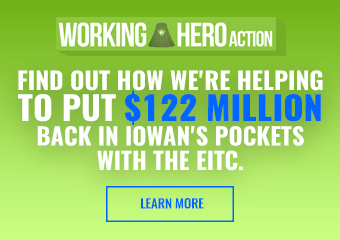 Mowrer benefits significantly from his two prior campaigns for office. He ran for the 4th Congressional District against Steve King in 2014 and for the 3rd Congressional District against David Young in 2016. You can look at the full poll and crosstabs here, where it’s clear he maintains high name I.D. and support in that half of the state. Mowrer takes 43% of the Democratic vote in the 3rd District and 33% of the vote in the 4th District in the initial matchup. It bumps up to 47% in the 3rd District and 35% in the 4th District if you include leaners. Democrats also have a much clearer view of him there – only 13% of 3rd District Democrats and 19% of 4th District Democrats say they haven’t heard of him. 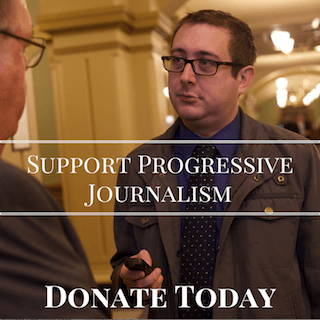 His past campaigns advertised heavily in the Des Moines media market, where he’s viewed favorably by 44% (and 20% unfavorably), compared to just 9% favorable in the Cedar Rapids and Davenport media markets (and 2% and 4% unfavorably). There’s not a big difference in Mowrer’s favorability or support in many other areas. He’s viewed a little more positively by former Clinton caucus-goers than Sanders caucus-goers, and he doesn’t poll as well among younger voters. For DeJear, the poll simply confirms what anyone would think: a first-time candidate has a lot of work to do to build up their statewide name recognition. 69% of likely Democratic primary-goers say they haven’t heard of her. She does the best in the matchups in the 3rd and 4th Districts, and receives 12% of the vote in the Des Moines media market (she lives in Des Moines) and 16% there if you include leaners. Just like in the gubernatorial poll, female voters aren’t giving disproportionate support to the female candidate yet. She does have higher favorability and support in the 4th District (my guess is that with so fewer Democrats living in that district, the ones the poll picked up are more engaged and are watching the race). The gubernatorial race could have a big impact on how down-ballot races like the secretary of state primary play out. 2018 will likely see the highest Democratic primary turnout in well over a decade, but most of those people will be heading to the polls because they want to vote for their choice for governor. A very significant portion of people voting may have paid little attention to the Mowrer/DeJear primary. Mowrer will certainly benefit from residual name recognition from his previous campaigns and ad spending – in these kind of races you get a bunch of voters who cast a ballot or which name they’ve seen more often. 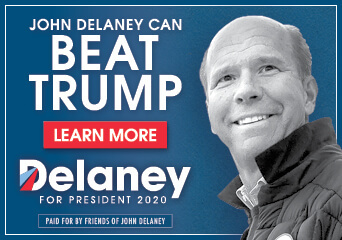 He’s also likely to raise enough money to do a full advertising campaign in the primary if he feels he needs to. Then again, DeJear could benefit if Democratic primary-goers decide they want more women on the ballot. Don’t forget that in 2006 Denise O’Brien defeated a much better-funded and well-known Dusky Terry in the secretary of agriculture primary (though that year O’Brien was literally the only female on the Democratic primary ballot for 4/5 of the state – there will be more women in other races this year). Secretary of state races have taken on a larger focus from Democrats across the country this past year with the number of new voting restrictions enacted in many states, including Iowa. Democrats have taken aim at Republican incumbent Secretary of State Paul Pate for his role in the changes that reduced early voting windows and added onerous voter I.D. requirements. The Legislature would have to be the one that makes any major changes to the law, but a Democratic secretary of state could have a major impact on that. At the very least, they could direct significant time and resources to helping any voter who has difficulty meeting the new voter I.D. rules. Whoever prevails in the Democratic primary could see national help in their matchup against Pate. Jason Kander’s Let America Vote organization has a presence in Iowa and a few other states, where they’re focused on combating Republican-imposed voting restrictions.